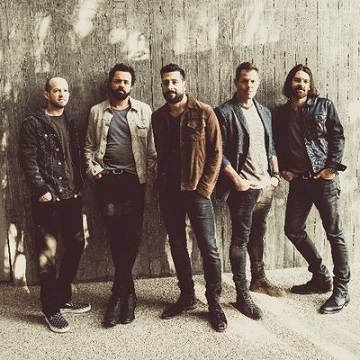 Winners of the 2019 American Country Music Awards Group of the Year, Old Dominion are proving that they are not your average country band. Blending old-fashioned country charm, lyrical wit and rock n’ roll grit into radio-friendly, hook-heavy pop nuggets, the band has emerged as one of the hottest breaking bands in country music, fusing clever lyrics and an infectious sound. Old Dominion’s sophomore album, Happy Endings, debuted at #1 on the Billboard Top Country Albums Chart. The band’s first single “No Such Thing As A Broken Heart” also hit #1 on Country Mediabase Chart, followed by their second fastest-rising single, “Written In The Sand” hitting #1 on Country Mediabase and Billboard Charts.